Last week was a typical week for me. On Saturday, I rode the bus downtown to pick up some books from the library. On Sunday, I cooled down at a splash pad with my family. On Monday, I set out my garbage and recycling for curbside pickup. On Tuesday, I went ice skating at the neighbourhood arena. On Wednesday, I went for a lunchtime walk around the greenhouses in the city’s public gardens. On Thursday, I called my city’s information line to give notice of a broken drainage grate. And last night, I went to sleep to the sound of street sweepers and fire trucks. The experiences I had last week were supported by the municipality that I live in. It has its own geographic and cultural particulars, but it’s an average-sized city that offers a typical range of services. Typical, yes—but still extremely varied. Transportation services including light rail and subways. Sanitary and storm sewer systems. Recreational facilities including parks, trails, and arenas. Waste management facilities including landfills. Some of these types of operations are highly regulated through specific legislation, and all are subject to general environmental and health and safety requirements. It’s a lot of information to manage, and it changes all the time. Municipalities are subject to particular scrutiny and oversight. Citizens are very sensitive to their municipality’s performance (perceived and actual), and requirements for disclosure and documentation surpass what’s expected of private companies. 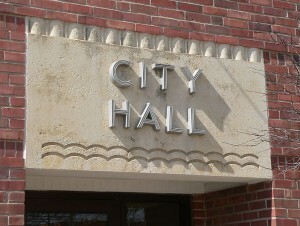 Municipalities are often under particular budget pressures. Demands to balance operating budgets without overtaxing residents mean that municipalities must do more with less. Staff are responsible for making sure that they meet their legal obligations, but they need to do so within defined limits on spending and personnel. Take stock of your current obligations. Make a legal registry of the environmental, health and safety, and quality legislation and standards that apply to your operations. Check and re-check. Assess whether each operation or facility is in compliance with its requirements. When an inspection or audit identifies a corrective action that needs to be taken, assign responsibility for that action and follow up to make sure it’s taken care of. Get information where it needs to go. Make sure that the people responsible for meeting requirements are aware of their responsibilities. Use tools that let you easily extract data and generate reports. Stay current. Don’t squander your hard work in setting up a legal register or compliance assurance system by letting it slide into obsolescence. Make sure that you stay up-to-date with the latest regulatory developments and incorporate any changes into all levels of your legal registers and checklists. Can you do all of this work manually? Given enough time, money, and people, yes. But should you? Follow the lead of municipalities like the cities of Edmonton; Winnipeg; and London, Ontario and take advantage of Nimonik’s powerful tools to help you ensure compliance with a wide range of environmental, health and safety, and quality legislation and standards. For more information on how Nimonik helps municipalities meet their specific challenges, reach out to us at info@nimonik.com.